Everyone wants straight teeth. However, no one wants to wear braces. Invisalign	is the perfect solution for adults who are ashamed of their crooked teeth	but even more ashamed of the idea of a mouth full of metal. With a series	of custom-made clear plastic aligners, Invisalign inconspicuously straightens	teeth little by little. 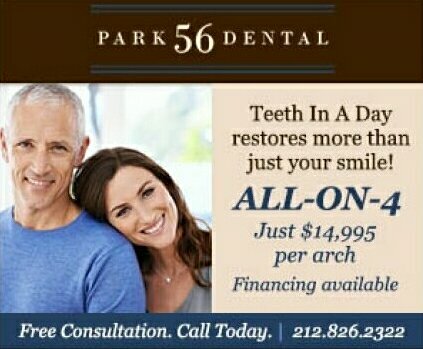 If you’re curious about Invisalign, don’t	hesitate to set up an initial consultation at Park 56 Dental of NYC. Before you come in for a consultation, it’s a good idea to learn more	about Invisalign so you can determine whether it’s the right treatment	for you. Here’s a quick look at what you can expect from Invisalign	treatment. Initial Examination: During your initial visit, your dentist will carefully examine your teeth	and put together a treatment plan. He will then take a detailed 3D image	of your mouth to make sure your custom aligners are well designed. Aligner Creation: Your dentist will send the 3D imaging off to a lab, where all your plastic	aligners will be manufactured. You can expect your aligners to arrive	within a few weeks. Orthodontic Treatment: You will begin treatment once the plastic trays arrive, and receive new	trays once every couple weeks. Within a matter of months, your teeth will	be completely straight. 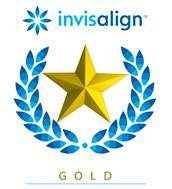 Invisalign is the orthodontic treatment of choice for millions of adults. Here are some of the benefits you will enjoy by choosing Invisalign instead	of traditional metal braces. Discreet Treatment: Perhaps the biggest advantage of Invisalign is that the plastic aligner	trays are hardly noticeable. You won’t feel the need to hide your	smile during treatment, and no one will know that you’re undergoing	orthodontic treatment unless you tell them. Minimal Discomfort: Metal braces are notoriously uncomfortable. Invisalign, on the other hand,	is extremely gentle. Throughout the treatment process, you won’t have	to worry about painful metal jabbing into your gums, cheeks, and tongue. No Diet Limitations: Since you can remove your Invisalign trays at any time, you won’t	need to limit your diet in any way. Invisalign also makes it incredibly	easy to floss and brush your teeth, as you won’t have to work around	the wires and brackets. For more information about Invisalign, don’t hesitate to call Park	56 Dental. Our NYC dentists are dedicated to helping NYC residents improve	their smiles through a number of cosmetic and restorative dentistry techniques. Call (646) 783-3529 to set up an appointment at our NYC dental office.